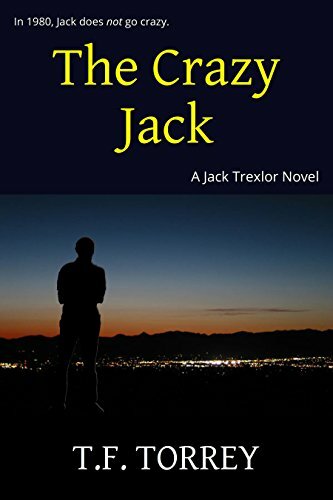 In honor of the beautiful new covers, The Crazy Jack is free today and tomorrow at Amazon. His art teacher warns him against a future that he finds in The Desert King and The Dancing Queen. He has the major falling out with his father that is not resolved until eleven years later in The Dancing Queen. He exhibits a strong attraction to almost every eligible female he meets, a trait that only grows more pronounced through The Dancing Queen. He first exhibits a lack of sense of direction, which factors into The Desert King, but is largely resolved in the (yet-unwritten) story The Tonto Ten. This is the first time he puts himself at risk for a damsel in distress, a trait on which the entire series is based. This is the first time he suffers from a bout with blockage of his creativity, a trait that comes to define him, only alleviated in spurts until the end of The Dancing Queen. Watch for these and other firsts. If you see a good one, please let me know. Though I wrote the book, Jack has a mind of his own, and we are sure to see different things when we look into his world. Free today and tomorrow at Amazon.